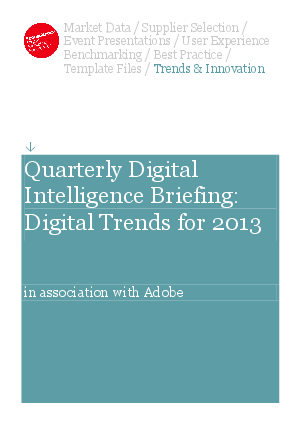 Recently, Econsultancy surveyed more than 700 digital professionals to get a sense of what is on their minds for 2013. What importance are they putting on social marketing? Mobile? How will they get more value and revenue out of their data and marketing tools?